In the 14 years I've worked in marijuana law reform, few events have struck me as so needlessly tragic as the federal government's consistent and deliberate stifling of medical cannabis research. 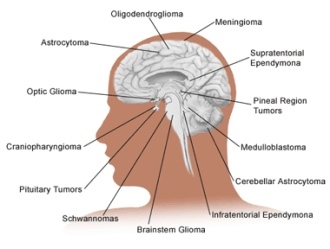 Nowhere is the Fed's refusal to allow this science more overt and inhumane than as it pertains to the investigation of cannabinoids as anti-cancer agents, particularly in the treatment of gliomas. As noted in today's wire stories regarding Sen. Edward Kennedy's diagnosis, glioma is an aggressive form of cancer that affects an estimated 10,000 Americans annually. Standard treatments for the cancer include radiation and chemotherapy, though neither procedure has proven particularly effective -- the disease kills approximately half its victims within one year and all within three years. But what if there was an alternative treatment for gliomas that could selectively target the cancer while leaving healthy cells intact? And what if federal bureaucrats were aware of this treatment, but deliberately withheld this information from the public? In fact, the first experiment documenting pot's anti-tumor effects took place in 1974 at the Medical College of Virginia at the behest of the U.S. government. The results of that study, reported in an Aug. 18, 1974, Washington Post newspaper feature, were that marijuana's psychoactive component, THC, "slowed the growth of lung cancers, breast cancers and a virus-induced leukemia in laboratory mice, and prolonged their lives by as much as 36 percent." Despite these favorable preliminary findings, U.S. government officials banished the study and refused to fund any follow-up research until conducting a similar -- though secret -- clinical trial in the mid-1990s. That study, conducted by the U.S. National Toxicology Program to the tune of $2 million, concluded that mice and rats administered high doses of THC over long periods had greater protection against malignant tumors than untreated controls. However, rather than publicize their findings, government researchers shelved the results, which only became public after a draft copy of its findings were leaked in 1997 to a medical journal which in turn forwarded the story to the national media. In the years since the completion of the National Toxicology trial, the U.S. government has yet to fund a single additional study examining the drug's potential anti-cancer properties. Is this a case of federal bureaucrats putting politics over the health and safety of patients? You be the judge. Fortunately, in the past 10 years scientists overseas have generously picked up where U.S. researchers so abruptly left off, reporting that cannabinoids can halt the spread of numerous cancer cells -- including prostate cancer, breast cancer, lung cancer, pancreatic cancer, and in one human clinical trial, brain cancer. Writing earlier this year in the journal Expert Review of Neurotherapeutics, Italian researchers reiterated, "(C)annabinoids have displayed a great potency in reducing glioma tumor growth either in vitro or in animal experimental models. (They) appear to be selective antitumoral agents as they kill glioma cells without affecting the viability of nontransformed counterparts." Not one mainstream media outlet reported their findings. Perhaps now they'll pay better attention. What possible advancements in the treatment of cancer may have been achieved over the past 34 years had U.S. government officials chosen to advance -- rather than suppress -- clinical research into the anti-cancer effects of cannabis? It's a shame we have to speculate; it's even more tragic that the families of Senator Kennedy and thousands of others must suffer while we do. Watch a video of Paul Armentano explaining the relationship between cannabinoids and giloma. Paul Armentano is the deputy director for the NORML Foundation in Washington, D.C. This page contains a single entry by sal published on May 23, 2008 1:57 PM. UPDATE: Infant Primates Given Vaccines on U.S. Children's Immunization Schedule Develop Behavioral Symptoms of Autism was the previous entry in this blog. Critical Pesticide Program Cut is the next entry in this blog.